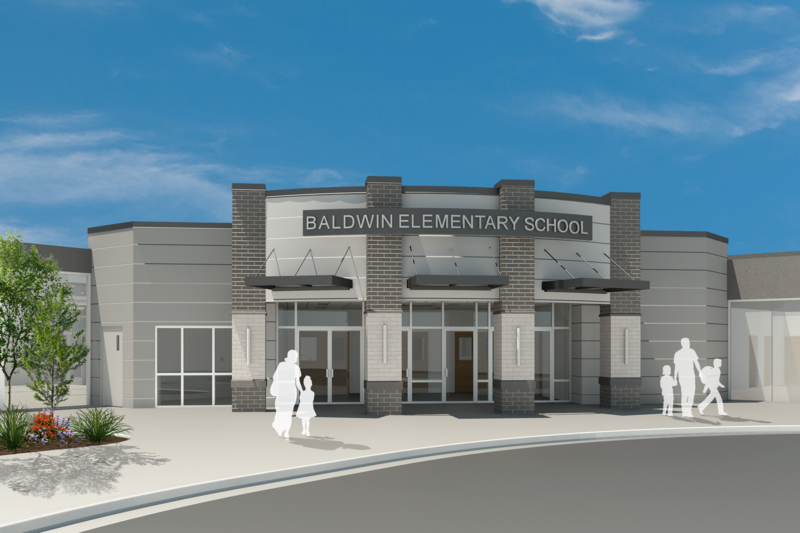 The Addition and Renovation to Baldwin School is one of the five new elementary schools that are part of the $89 million bond issue overwhelmingly passed in 2015 by Quincy voters. 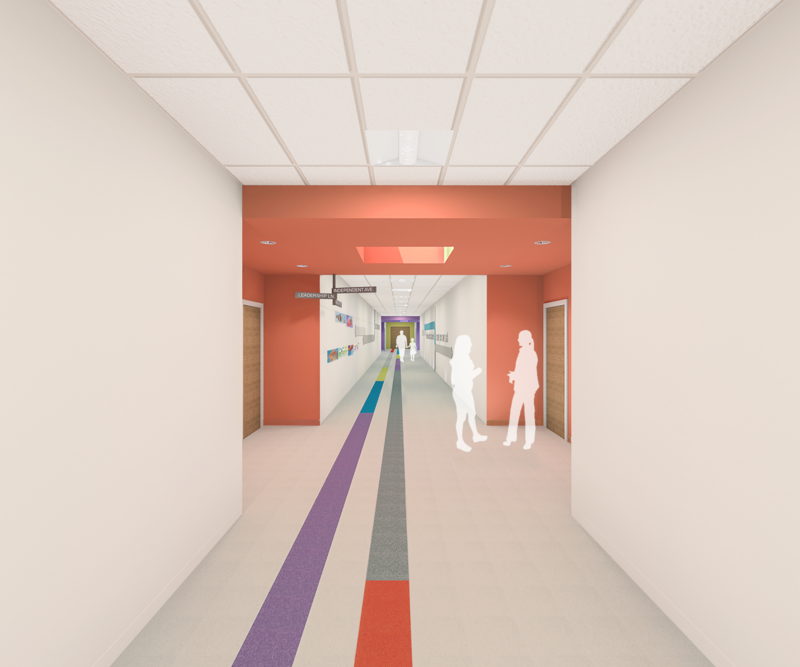 This school is unique however in the fact the several existing spaces will be repurposed for the new school. 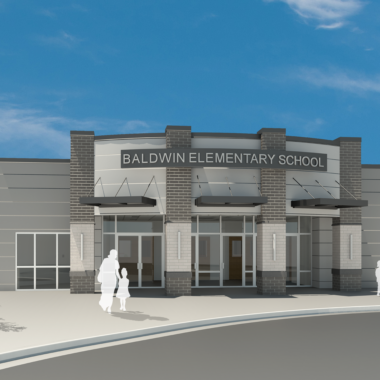 The existing gym, auditorium and cafeteria are to remain and will be renovated while the rest of Baldwin gets demolished to make way for the new 53,000 sf new addition. 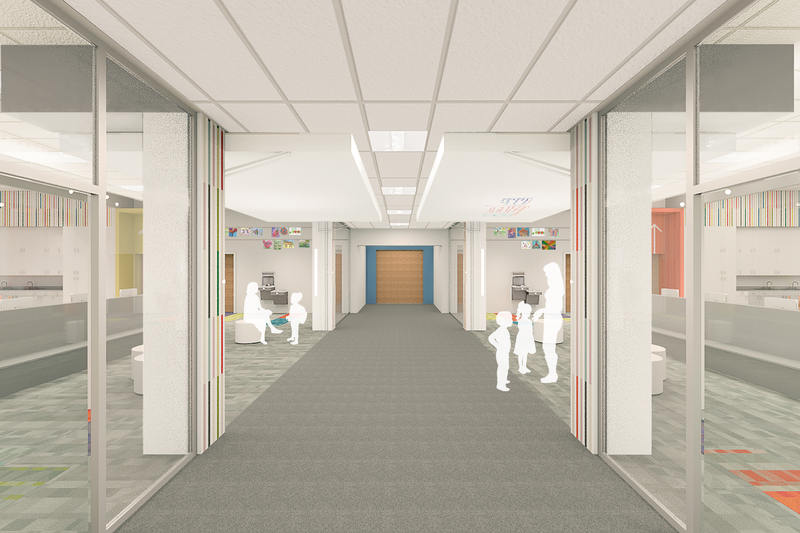 The new addition will house kindergarten through fifth grade in four classrooms per grade level. 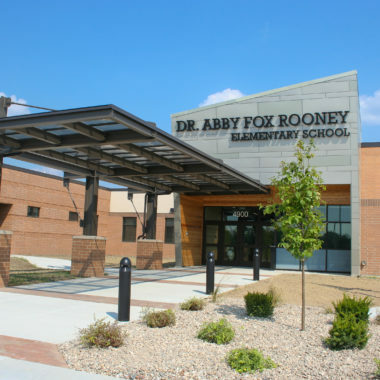 The new addition also includes a storm shelter to protect the students from high winds and flying debris. 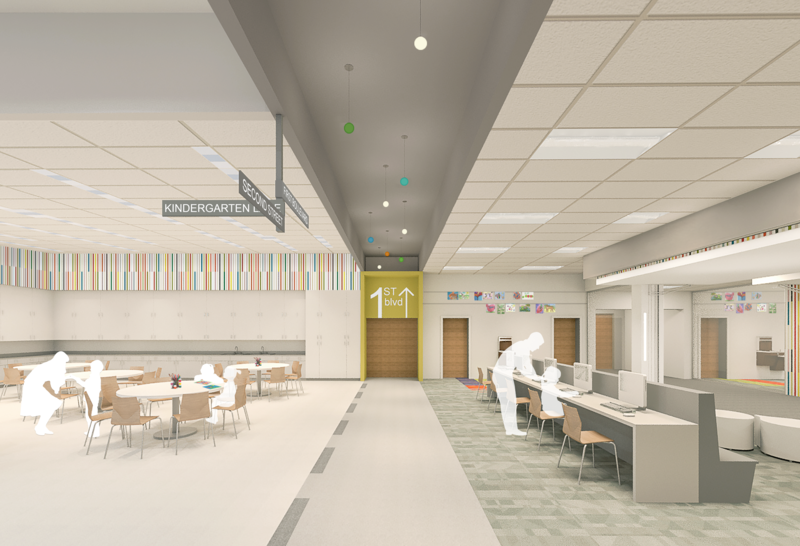 The construction and demolition will be phased over two summers and will be completed in 2019. 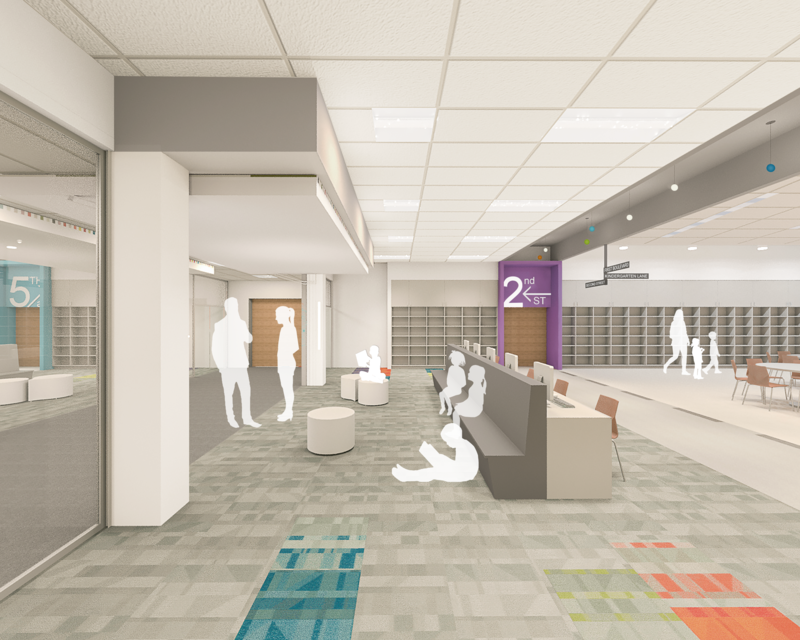 During the 2017-2018 school year students will occupy half of Baldwin while construction occurs in the other half. 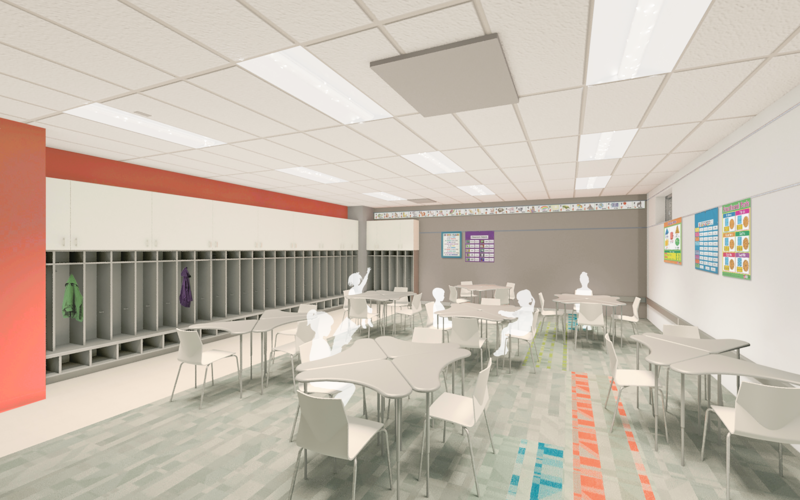 The phased schedule created many complexities that Architechnics was able to work around to provide an acceptable solution. The final building will be state of the art and a new prominent entry and will be a landmark in Quincy for years to come. INTERIOR: Baldwin is located in the center of the city of Quincy. 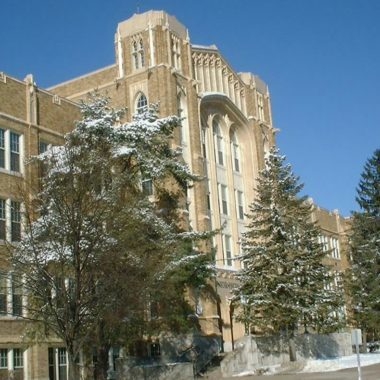 Its site is very prominent, located on top of a hill at 30th and Maine. The distinct site located in the heart of the city inspired our interior design concept. 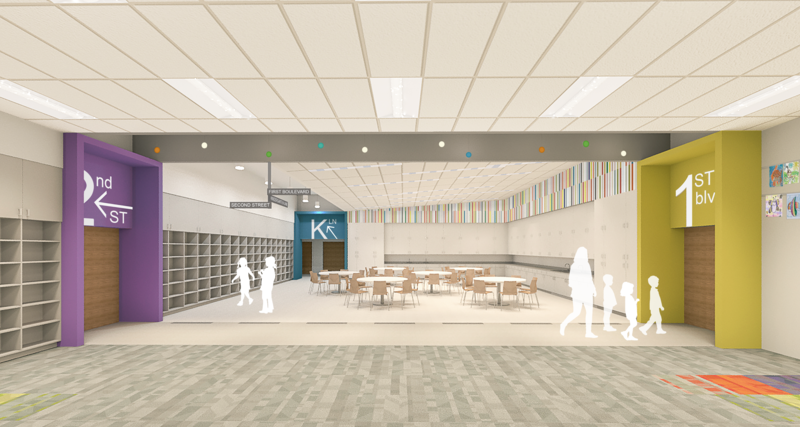 The interior design incorporates community and small city elements throughout the space. Cityscape graphics, way finding street signage, and abstract installation of materials all nod to the small city concept. 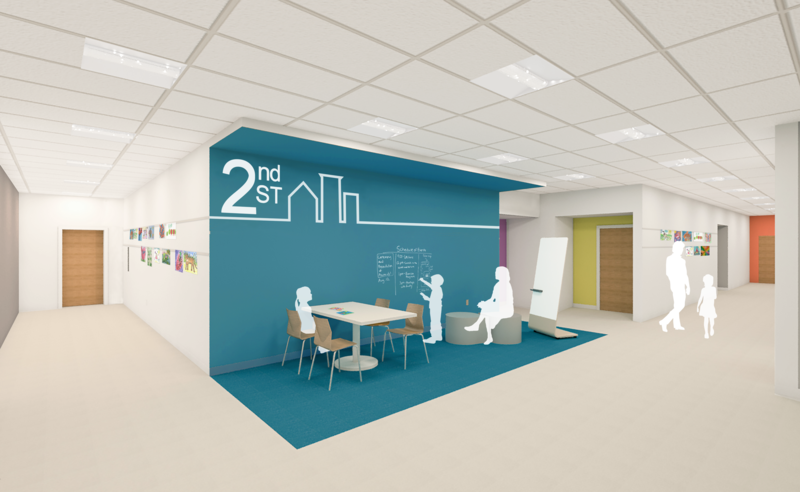 Not only does the concept tie the existing Baldwin building in with the new construction, but it also creates a sense of community. 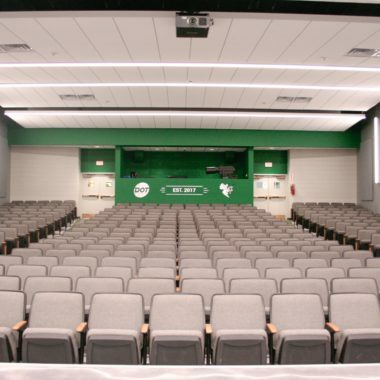 It encourages students to explore and take the road less traveled.